Striking imagery and jewelry inspired by all parts of the world, Brother Wolf offers jewelry pieces and accessories designed with not only style and aesthetic, but meaning. Brother Wolf jewelry is religiously themed and got its name by St. Francis’ and his love for animals. 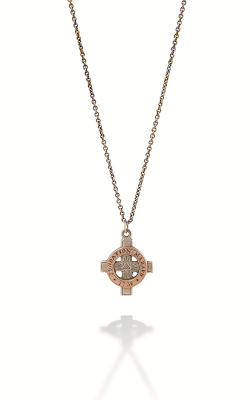 With this in mind, Brother Wolf offers necklaces and pendants with religious imagery in pink gold, yellow gold, and sterling silver. Let your fashion speak for you with a jewelry piece meant to do more than just elevate your style. Fashion and style come together in this family-owned and run designer brand. No piece is made without finding out as much as possible about the particular saint or mystic. Push the limits of your fashion with a jewelry piece that has bears striking meaning. Brother Wolf necklaces come in a multitude of looks, designs, and builds. Their heart pendants feature stunning additions and design elements. With some pieces bearing a simple meaning of Faith, Hope, and Charity, these pieces speak to the soul with its clean design, yet resounding meaning. Within some of their cross pendants, you can find pieces that express purity and the holy spirit. One such piece features a flying dove on the crest of the cross, a piece both wonderful in design and belief. Every one of their pieces are handmade and associated with a virtue and social cause. Also available from Brother Wolf are circle pendants bearing the image of a saint or religious figure. Each figure is carefully researched by Brother Wolf and every figure boasts a meaning and story. These pieces are striking and stunning works of art, as the handmade artists at Brother Wolf crafted images and depictions of holy figures and symbols into each piece. 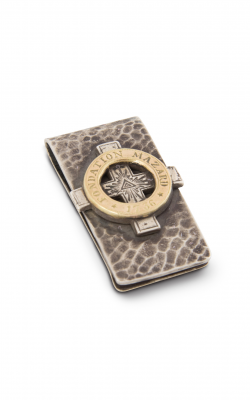 You can also accessorize with Brother Wolf with some of their fashion accessories, like the Brother Wolf money clips which are functional, fashion forward, and also religiously meaningful. Why Shop for Brother Wolf at Kevin’s Fine Jewelry? At Kevin’s Fine Jewelry, located at Totowa, New Jersey, we are an authorized retailer of Brother Wolf and their products. We serve the local areas of Wayne, Franklin Lakes, Woodland Park, Little Falls, Paterson, Clifton, Montclair, Fairfield, Montville, Kinnelon, and more! We are a family-owned and operated retailer dedicated to helping you find the fashion jewelry piece that not only speaks to your style but your soul. Since 1981, we have dedicated ourselves to providing top quality service and serving only the top-quality designer jewelry pieces, like those found in the Brother Wolf collections. Stop by our stunning showroom and explore our stress-free jewelry shopping environment, or check out our stunning selection online.